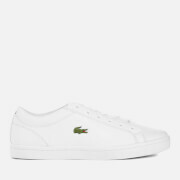 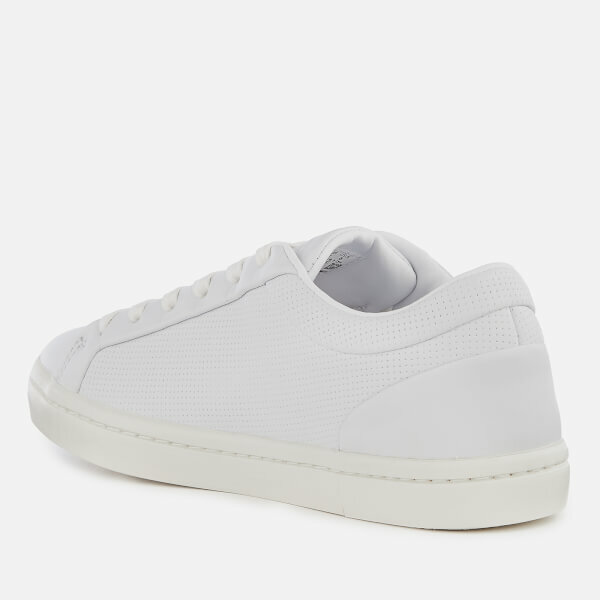 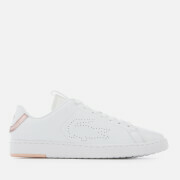 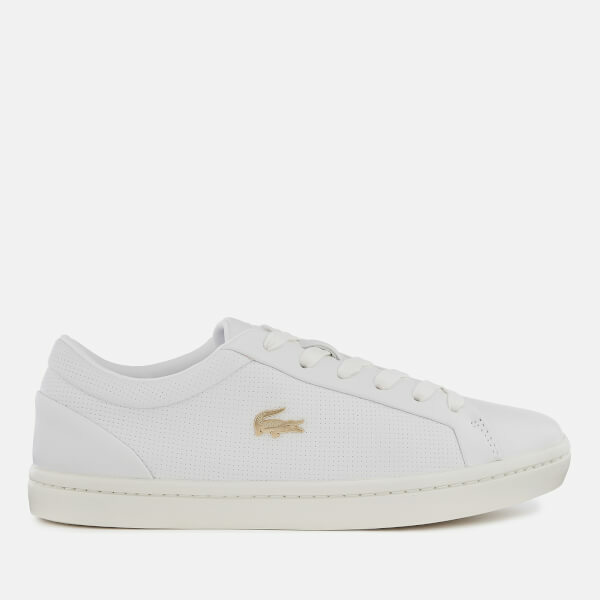 White leather trainers in a perforated design from Lacoste. 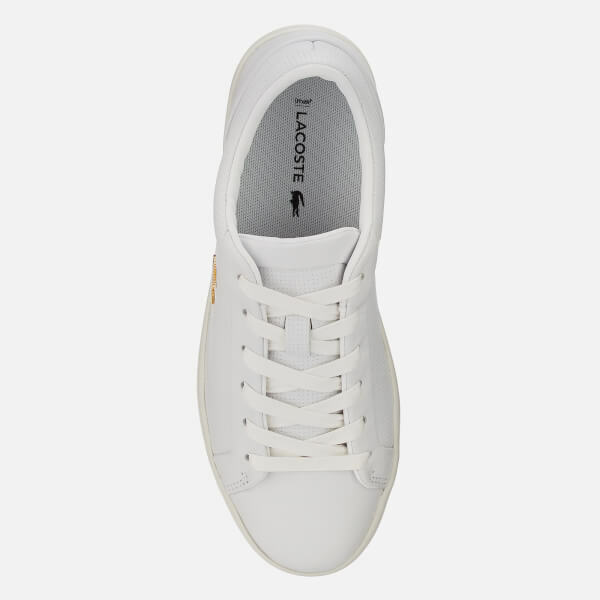 The ‘Straightset 119 2’ sneakers feature tonal laces, smooth overlays and a rounded toe. 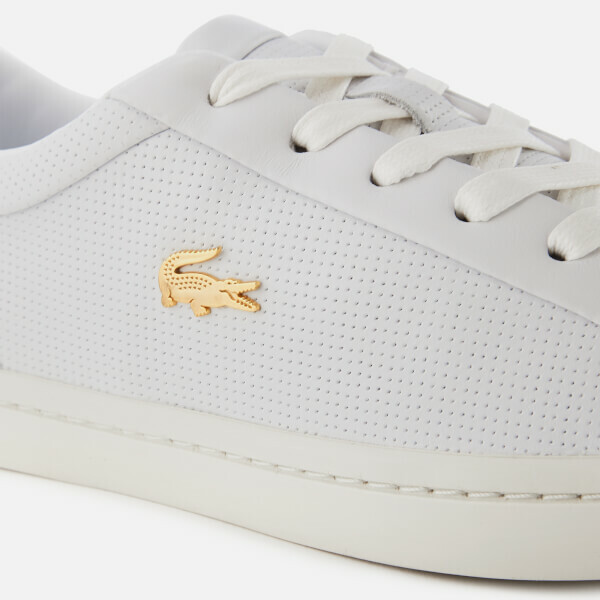 Set upon a rubber outsole and completed with a gold-tone crocodile motif.